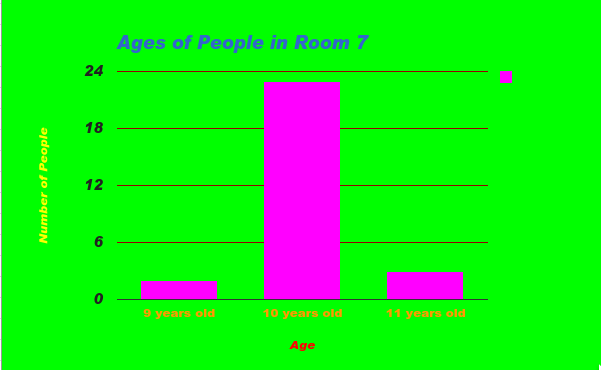 Today for Maths, I did a bar graph on ages of people in my class. I found out that most people were 10 and least people were 9. Here is my graph that I did.